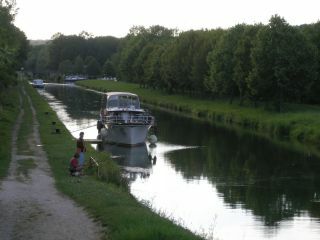 Klaassen Super van Craft For Sale is lying in Migennes, France. At 13.8 metres (approx. 45.28 feet) this Klaassen is a bargain at €79,500. 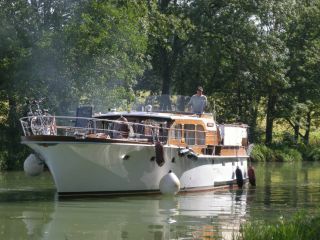 A quality classic motor yacht, Klaassen Super van Craft 'Matilda' is perfect for either cruising or live aboard. 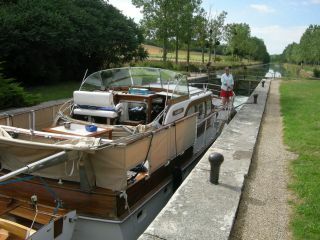 She has been cruised by her current owners from France to the UK and Netherlands. 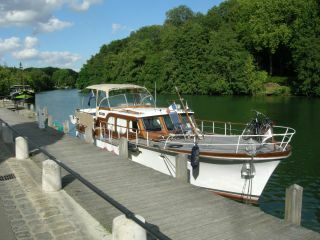 Boatmatch Tip: Want more advice about buying this Klaassen Super van Craft? Checkout our Boatmatch Buyers Guide! 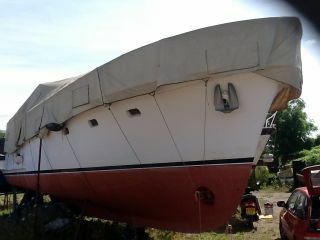 Boatmatch Tip: Need advice about possibly insuring this Klaassen Super van Craft? Checkout our Boatmatch Insurance Guide!
. 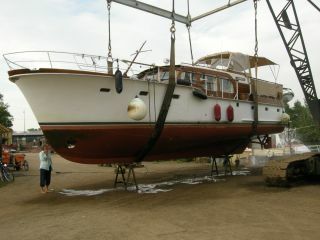 Contact the seller of this Klaassen Super van Craft for more details. 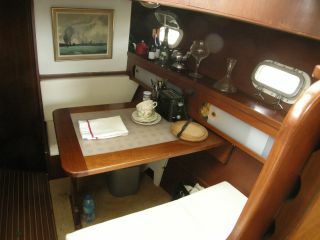 Sleeps six adults in owners cabin, guest cabin and occasional double in saloon. Room for two children in the dinette. Boatmatch Tip: Have a question about the accommodation of the Klaassen Super van Craft? Contact the seller via clicking on the registering interest button above. 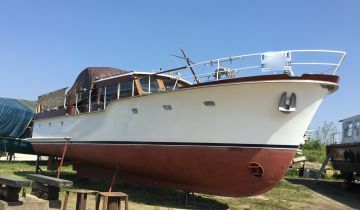 In 1965 the Klaassens shipyard built 'Matilda' with a raised foredeck, without doubt the best looking motor yacht of the series. 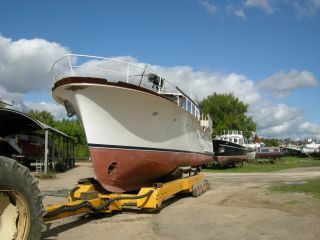 'Matilda' has had the hull and deck professionally refurbished and is presented in excellent order. 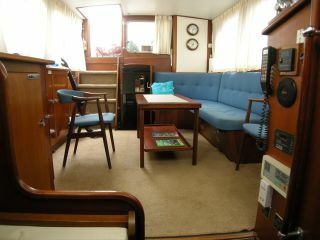 Electrical system KLAASSEN Super Van Craft. New batteries , oil changes for engines and antifouling will be deducted from the asking price . 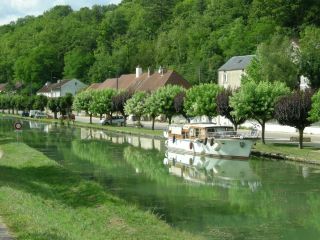 The boat is stored on dry land in a professional yard that has all the amenities.